Morocco’s human rights and other issues have been explored in previous posts. Here then is an update on recent updates on the country’s human rights. In September 2017, the Human Rights Council adopted a report by the Working Group on Morocco, but research to date has not located the Council’s official record of that action. However, Alkarama, a Geneva [Switzerland]-based non-governmental human rights organization established . . .to assist all those in the Arab world” who are at risk of human rights violations, published a press release about the outcome of this UPR. It stated that Morocco had accepted the majority of the recommendations (191 out of 244) while 44 were fully or partially rejected. Spinner, Morocco debates a law to protect women in public spaces. Passing it is another matter, Wash. Post (Nov. 5, 2017). See also Lahsini, Morocco Rejects Multiple UN Recommendations on Women Rights as ‘Unconstitutional,’ Morocco World News (Sept. 21, 2017). U.N. Human Rights Council, Report of the Working Group on the Universal Periodic Review—Morocco (July 13, 2017); U.N. Human Rights Council, The Kingdom of Morocco’s position on the Recommendations issues after review of its National Report under the third cycle of the universal Periodic Review (UPR), (Aug. 2017); U.N. Human Rights Council, 27th UPR adoptions to take place in September (Aug. 15, 2017); Alkarama, Morocco: UPR outcome adopted at UN Human Rights Council (Sept. 27, 2017). Alkarama, ibid. ; Amnesty Int’l, Morocco: Human Rights Council Adopts Universal Periodic Review Outcome on Morocco (Sept. 21, 2017); Human Rights Watch, Morocco should implement past UPR recommendations (Sept. 21, 2017). As noted in a prior post, Morocco is a state party to the International Covenant on Civil and Political Rights, the most comprehensive multilateral human rights treaty, and as such is required to submit periodical reports on its implementation of that treaty for evaluation by the U.N. Human Rights Committee. The most recent such evaluation was on December 1, 2016, and the Committee’s comments on religious freedom in that country were covered in that prior post. U.N. Human Rights Comm., Concluding Observations on the sixth periodic report by Morocco (Dec. 1, 2016). The Committee’s Concluding Observations also included separately recommendations on each of the principal areas of concern. After reviewing the EU Common Position on Cuba and the subsequent history of EU-Cuba relations, we will discuss the recent negotiations and their implications. On December 2, 1996, the Council of the European Union  adopted its Common Position on Cuba, whose objective was “to encourage a process of [Cuban] transition to pluralist democracy and respect for human rights and fundamental freedoms, as well as a sustainable recovery and improvement in the living standards of the Cuban people. 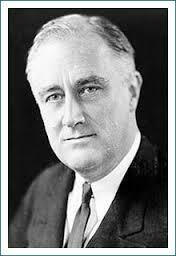 A transition would most likely be peaceful if the present regime were itself to initiate or permit such a process. It is not European Union policy to try to bring about change by coercive measures with the effect of increasing the economic hardship of the Cuban people” (Para. 1). The Common Position also acknowledged “the tentative economic opening undertaken in Cuba to date” and the EU’s “wish to be Cuba’s partner in the progressive and irreversible opening of the Cuban economy. The [EU] considers that full cooperation with Cuba will depend upon improvements in human rights and political freedom, as indicated by the European Council” (Para. 2). To achieve these objectives, the E.U. (f) will remain willing, through the Member States, also to carry out focused economic cooperation actions in support of the economic opening being implemented” (Para. 3). Finally the EU Common Position stated, “As the Cuban authorities make progress towards democracy, the [EU} will lend its support to that process and examine the appropriate use of the means at its disposal for that purpose, including: the intensification of a constructive, result-oriented political dialogue between the [EU] and Cuba; the intensification of cooperation and, in particular, economic cooperation; the deepening of the dialogue with the Cuban authorities, through the appropriate instances, in order to explore further the possibilities for future negotiation of a Cooperation Agreement with Cuba” (Para. 4). The EU suspended ties with Cuba in 2003 after the regime of President Fidel Castro arrested 75 dissidents in 2003 in a fierce crackdown known as Black Spring. Upon the imprisonment of these political dissidents, the EU imposed stiff sanctions on Cuba in 2003. High-level visits to Cuba were reduced, and Fidel Castro stopped European aid from entering the country. European embassies were encouraged to invite both government officials and political dissidents to cultural events. Thereafter the Cuban government officials declined to attend any such events. Between 2003 and 2005, Cuba and the EU experienced a time of tension and animosity. In 2005, relations between the EU and Cuba began to warm up again with Spain’s encouragement. The Cuban government released 14 political prisoners in 2005, an encouraging sign for anxious EU members looking for signs of progress. Thereafter the EU suspended sanctions and gradually repaired the economic ties between the two entities. Between 2005 and 2008, Cuba released another six political prisoners, which prompted the EU to remove all sanctions. In addition, the 2008 change of power from Fidel Castro to Raúl Castro produced optimism in the EU regarding future relaxation of tension. After October 2008, the EU committed around € 60 million for cooperation on post-hurricane reconstruction and rehabilitation, food security, climate change and renewable energy, culture, and education. Cuba also took part in several EU-funded regional programs. The first EU Country Strategy/Paper Indicative Program for Cuba was adopted in May 2010 making available € 20 million between 2011 and 2013 for food security, climate change adaptation, and expertise exchanges. The EU also allocated € 4 million to support the population affected by Hurricane Sandy in November 2012. In 2010, Spain unsuccessfully tried to muster support for a change in the EU’s Common Position on Cuba. The need for unanimity for such a change was thwarted by Poland and Czech Republic – both former Soviet bloc nations – which have been opposed to shifts in relations with Havana. In early 2014, the Dutch Foreign Minister called on the EU to change its policy toward Havana during a visit to the Caribbean island in January 2014. The EU then decided that its Common Position on Cuba was not working and would not be used as preconditions for EU negotiations with the country. As a result, the EU Foreign Affairs Council, on February 10, 2014, extended an invitation to Cuba to start negotiations for a future bilateral agreement. Following Cuba’s acceptance of the invitation, they conducted such negotiations In April and August 2014 on a “Political Dialogue and Cooperation Agreement” which would serve as an enabling framework for closer engagement in support of the on-going reform and modernization process in Cuba. According to the EU, human rights remain at the heart of its policy towards Cuba while seeking to expand relations with all parts of Cuban society, promoting economic and social progress, dynamic dialogue and strengthened respect for fundamental rights. The April 29-30, 2014, round took place in Havana and focused on establishing modalities and a roadmap for negotiations. An understanding was also reached on the overall structure of the agreement, after which the parties held a first exchange of views on the main chapters and elements. The August 27-28, 2014, negotiations took place in Brussels. The parties concentrated on the cooperation heading in the proposed agreement with progress on the global structure of the chapter, the issues and sectors to be addressed, as well as on the concrete wording of a number of articles. The EU also made a presentation on the trade chapter that would enhance commercial and investment relations based on joint objectives and established rules and principles of international trade. The political and institutional issues were not addressed. 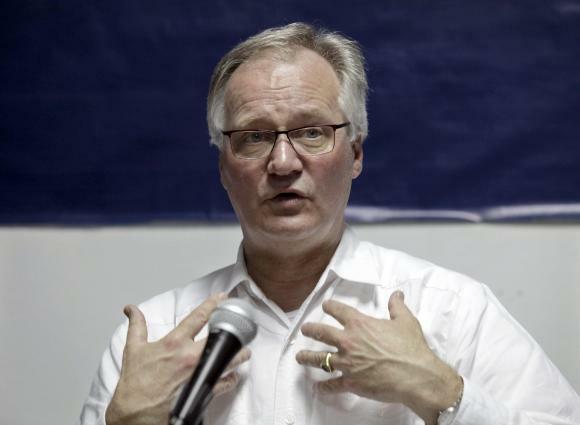 Immediately after the August session, Christian Leffler, the European External Action Service Managing Director for the Americas, stated the parties had made “substantial progress” towards agreeing on a trade and political co-operation treaty and would discuss “more sensitive political questions,” in the next round to be held in Havana. In addition, the August session prompted a NGO (Civil Rights Defenders) to urge the EU to press Cuba to ratify and implement the International Covenant on Civil and Political Rights  and the International Covenant on Economic, Social and Cultural Rights , which Cuba had signed in 2008. The group also called for inclusion of Cuban civil society and political opposition in the discussions. The latest round of negotiations was focused on the proposed agreement’s largest and most important chapter: Cooperation and Cooperation Dialogue Sectoral Policies. This included discussion of Political dialogue and issues related to national and government policy: governance, human rights, rule of law, and joint efforts in addressing global challenges. Cuba reported making that the parties had made progress on issues such as labor, culture, education, health, agriculture, trade and aid. Although no date has been set for the next round of negotiations, some of the 28 EU members are insisting the EU accelerate the process because of concern the U.S. might progress more quickly with normalization. Spain, which counts Cuba as a key trade partner, has urged fellow members to “give EU businesses the chance to compete with American companies” on the island. And French President Francois Hollande plans to visit Cuba on May 11, the first visit ever by a French president and the first by a European or American leader since the US rapprochement. The EU is already Cuba’s top foreign investor. EU officials say the proposed accord would give Brussels a bigger role in Havana’s market-oriented reforms, position EU companies for Cuba’s transition to a more open economy and allow the Europe to press for political freedoms on the Communist-ruled island. Despite protestations to the contrary, the EU and the U.S. are now competing to gain an economic competitive edge in future dealings with Cuba. This should be an additional argument for the U.S. quickly to rescind its designation of Cuba as a “State Sponsor of Terrorism, ” to end the embargo of Cuba and to proceed on the many other issues to effectuate a normalization of relations with the island. This post on EU-Cuba relations and negotiations is based upon the following: Council on Hemispheric Affairs, The European Union and Cuba: The Common Position (July 15, 2010); Abellán, European Union prepares to defrost icy relations with Cuba, El Pais (Jan. 16, 2014); Council of EU, Authorizing Negotiations with Cuba (Jan. 28, 2014); LeoGrande, Relaxing the EU’s Common Position on Cuba would allow Europe to play a more active role in shaping the country’s future, LSE Blog (Jan. 28, 2014); LeoGrande, More Cracks in the EU’s “Common Position” on Cuba, AULA Blog (Jan. 31, 2014); Council of EU, Adopts Negotiating directives (Feb. 10, 2014); Council of EU, Press release on negotiating directives (Feb. 10, 2014); EU External Action, EU and Cuba launch talks on new agreement (May 5, 2014); European Parliamentary Research Service, A new phase in EU-Cuba relations (June 25, 2014); European Union, Second round of EU-Cuba negotiations toward a bilateral Political Dialogue and Cooperation Agreement (Aug. 28, 2014); Fox, EU hails ‘substantial progress’ towards Cuba trade deal, eurobserver (Aug. 29, 2014); Civil Rights Defenders, Platform for Discussion on the Current EU-Cuba Negotiations (Aug. 2014); Civil Rights Defenders, The EU must put pressure on Cuba to respect human rights (Aug. 29, 2014); Reuters, EU-Cuba talks delayed by dispute over cultural event, Daily Mail (Dec. 9, 2014); EU External Action, Statement of the High Representative and Vice President Federica Mogherini on US-Cuba relations (Dec. 17, 2014); Whitefield, EU tip for U.S.-Cuba negotiators: patience is a virtue, Miami Herald (Feb. 11, 2015); Reuters, EU and Cuba to Restart Talks After Cultural Dispute, N. Y. Times (Feb. 27, 2015); Bendavid, EU, Cuba Officials to Meet in Wide-Ranging Talks, W.S.J. (Feb. 27, 2015); Abellán, Brussels starts talking about human rights with Cuba, El Pais (Mar. 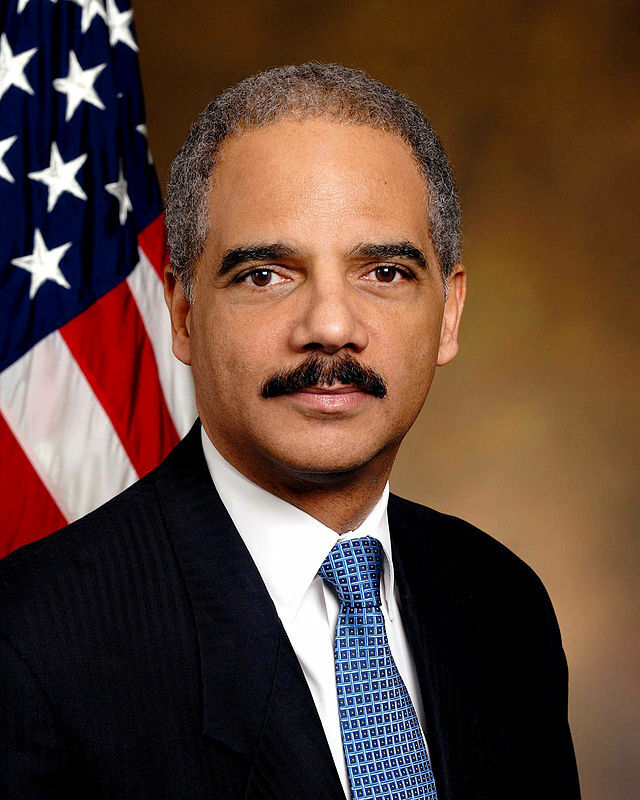 1, 2015); Trotta, Cuba, EU renew talks on relations; will discuss human rights, Bus. Insider (Mar. 4, 2015); Reuters, Cuba, EU Renew talks on Relations; Will Discuss Human Rights, N.Y. Times (Mar. 4, 2015); Negrin, Dialogue between Cuba and the EU progresses in cooperation issues, Granma (Mar. 4, 2005); France hopes to shore up business with Cuba amid US policy shift, France 24 (Mar. 4, 2015); Perez & Rivero, Cuba and the European Union have “progressed substantially,” CUBADEBATE (Mar. 5, 2015); Trotta, EU says U.S. policy change helps its own talks with Cuba, Reuters (Mar. 5, 2015); EU-Cuba Negotiations Impacted by Cuba-USA, Havana Times (Mar. 6, 2015); Grosbois, US, EU in race to normalize Cuba ties, Business Insider (Mar. 6, 2015). EU Common Position on Cuba (Dec. 2, 1996 ). Before EU governments finally agree on a new piece of Union legislation, they usually reach a sort of pre-agreement called a common position. This can serve as a useful marker showing just how far governments have come towards agreeing the terms of a particularly complex piece of legislation. They have a certain legal weight and are published in the EU’s Official Journal. EU governments must adopt a common position before the European Parliament can begin its second reading of a particular proposal. The Council of the EU is part of the essentially bicameral EU legislature (the other legislative body being the European Parliament) and represents the executive governments of the EU’s member states. 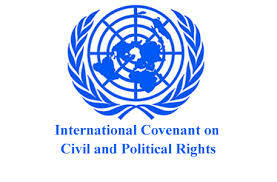 The International Covenant on Civil and Political Rights, which is part of what is referenced as the International Bill of Human Rights, establishes international minimum standards for self-determination; legal redress; equality; life, liberty, freedom of movement; fair, public and speedy criminal trials, privacy; freedom of expression, thought, conscience, religion; peaceful assembly; freedom of association (including trade union rights); family; and participation in public affairs.. It also forbids “cruel, inhuman or degrading treatment or punishment; slavery; arbitrary arrest; double jeopardy; and imprisonment for debt. This treaty was approved by the U.N. General Assembly in 1966. Now 168 states, including the U.S., are parties to this treaty. The U.S. signed this treaty in 1977, but did not ratify it until 1992 with many qualifications (five reservations, five understandings, four declarations and a proviso), and the agency responsible for monitoring compliance with the treaty (U.N. Human Rights Committee) has criticized the U.S. for noncompliance with various provisions, including voting. The International Covenant on Economic, Social and Political Rights, also part of the International Bill of Human Rights, calls for the “progressive realization” of the rights to gain a living by work; to have safe and healthy working conditions; to enjoy trade union rights; to receive social security; to have protection for the family; to have adequate housing and clothing; to be free from hunger; to have health care and free public education; to participate in cultural life, creative activity and scientific research. This treaty was approved by the U.N. General Assembly in 1966, and now 162 states are parties thereto. Compliance is monitored by the U.N. Committee on Economic, Social and Cultural Rights. The U.S. by President Jimmy Carter signed this treaty in 1977, but the U.S. has never ratified it and thus is not a party thereto.